Toyota Australia announced that it will introduce a hybrid version to its Corolla range in mid-2016 which will use around one-third less fuel than its traditional, petrol-only counterpart. 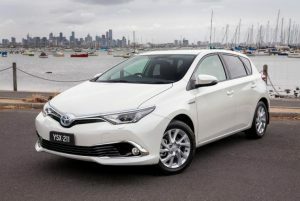 Toyota Australia’s executive director sales and marketing Tony Cramb said the Corolla hybrid hatch will “broaden the market appeal” of Australia’s best-selling car and deliver a unique and enjoyable driving experience at substantially lower running costs. 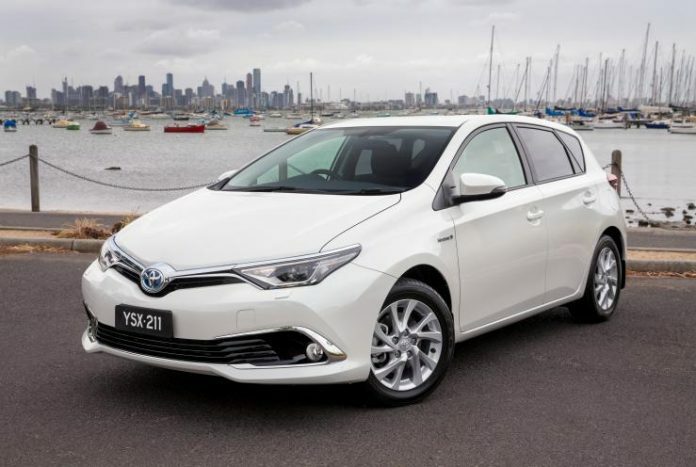 “Corolla hybrid hatch will offer all the advantages of Australia’s favourite car, coupled with the hybrid system’s established performance, reliability, durability and exceptionally low running costs,” Mr Cramb said. The new hybrid Corolla will feature satellite navigation, Toyota Link connected mobility, dual-zone automatic air-conditioning and bi-LED headlamps, as well as a Euro 5 compliant 73kW 1.8-litre petrol engine mated to a 60kW electric motor. The Corolla hybrid hatch will also boast a selectable electric-vehicle mode which will allow the car to be driven for up to two kilometres at speeds of up to around 45km/h with zero tailpipe emissions, depending on the level of battery charge and driving conditions.